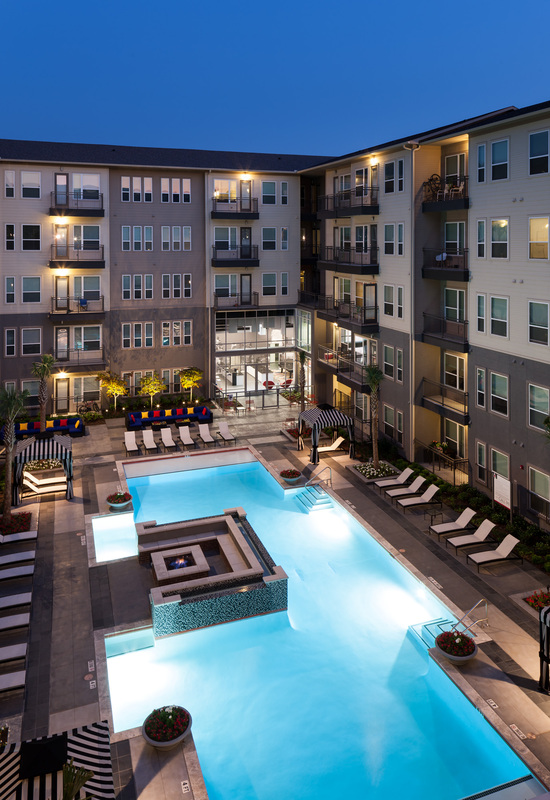 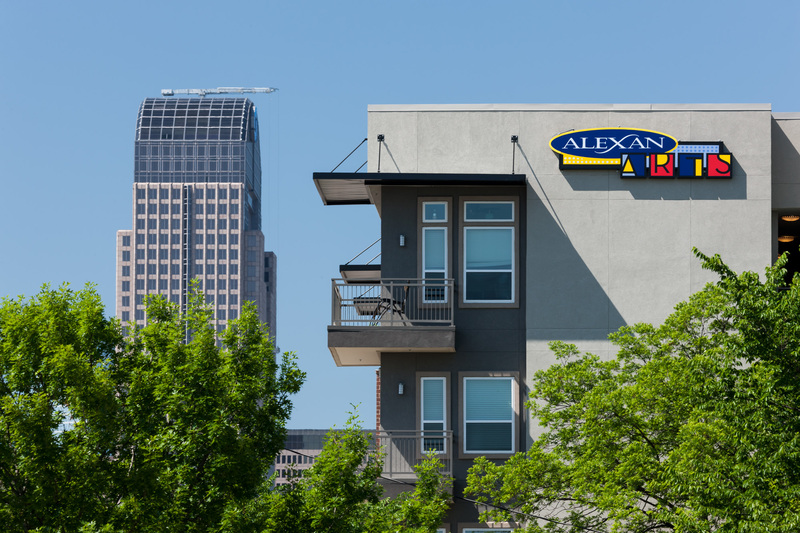 With Stunning views towards Downtown Dallas and its vibrant Art’s District, Alexan Arts is situated just northeast of Downtown along Ross Avenue as a symbolic gateway to the revitalized and spirited neighborhoods of East Dallas. 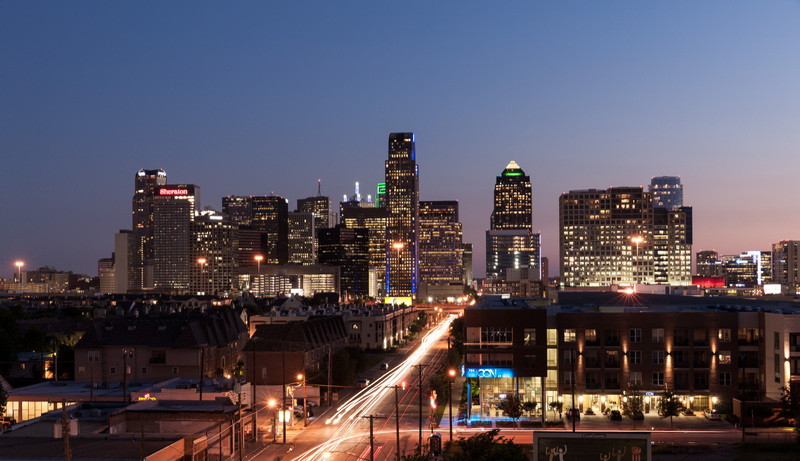 The clean timeless design of the project reflects the urban character of the site and downtown Dallas with the southwest corner elevation featuring a storefront massing and large windows which create an impressive view into the two story leasing office inside. 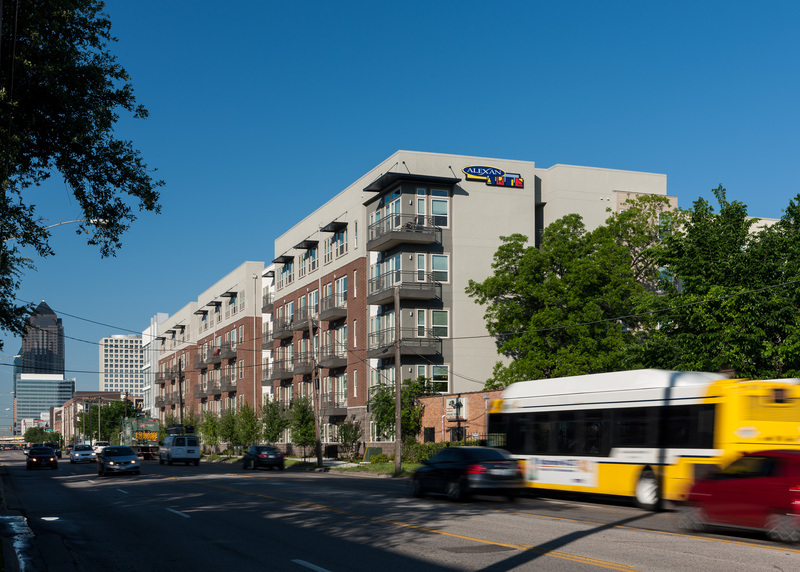 Originally, the 3.65 acre site was occupied by dilapidated auto repair buildings, garages, parking lots, and other long disused and barely standing buildings. 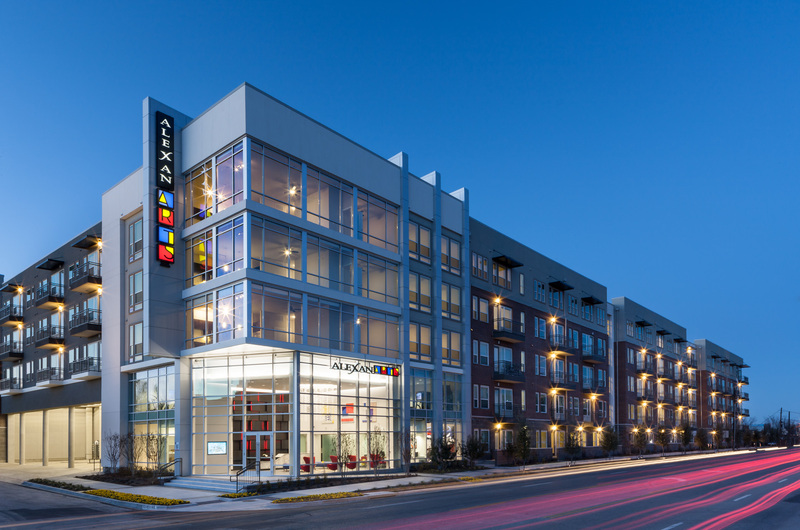 Alexan Arts strove to reintroduce an urban streetscape and urban edge to Ross Avenue and attract young, millennial-oriented residents to the area.